I saw him again today. Climbing in the walnut tree. Making noise but I caught him finding a big green walnut to chew on. I think he looked right at me and said, "OK, have your photo and then let me continue". I sure do enjoy watching this guy. This one stood out from among those in the 'latest' post. Darling photo of this little squirrel. Very sharp (the shot, not his teeth!). Well caught. totally love this capture , perfect timing also, must be lovely to watch and keep seeing him/her. lovely detail and lighting. They do not come by every day but often they - a pair of them- come to the walnut tree in the morning. Sure are fun to watch. Sometimes they leap from branch to branch. @peadar I think his teeth might be sharp too... but i do not want to feel them. glad you enjoyed seeing this little character. oh, thanks for the fav and the follow. Love the way he is framed by the tree branches. A great shot. I never knew squirrels liked walnuts but we only have hazel nuts in our garden. hahahah i never knew they liked green walnuts. it will take some work for him to get that nut open. Great shot of this cuty at dinner. A superb close-up shot , he is certainly enjoying the walnut ! Excellent capture and so cute. He is so cute - and you have caught him perfectly. 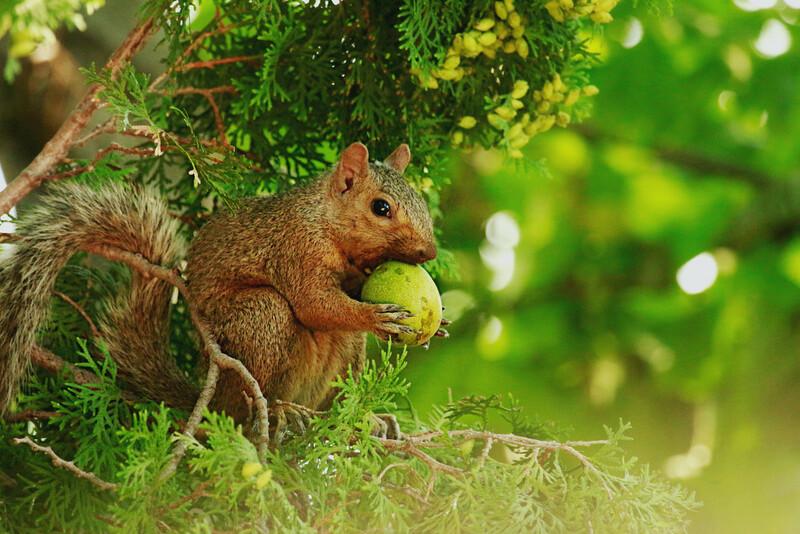 How adorable, a perfect capture..
@joansmor i can not imagine that they are good to eat as that thick green layer comes off in fall and then the nut is under that. but i guess i am not a squirrel! Thanks for the lovely notes from you all. I enjoy reading them so much. It is encouraging. Beautiful picture, very goof dov and crispy colors. What a lovely capture, fave.